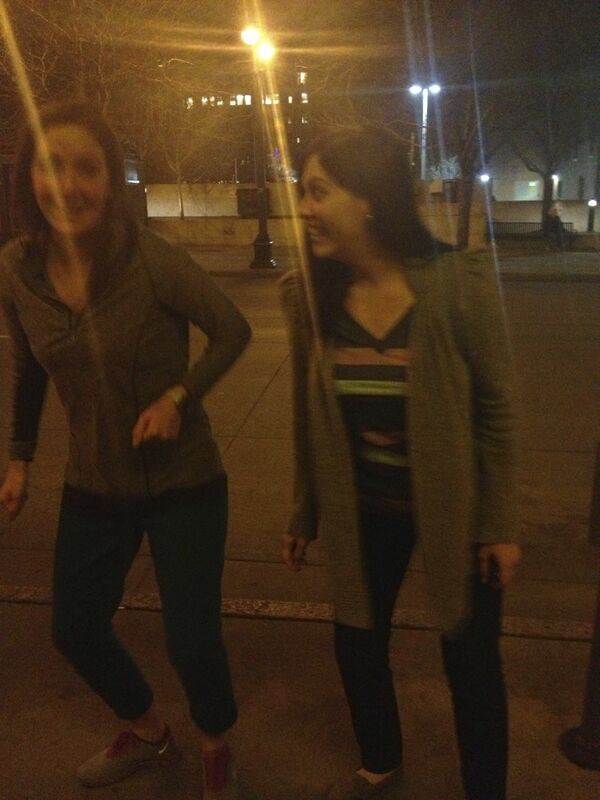 This is a photo of me and my baby sister practicing a tap routine outside of Justin Timberlake's restaurant in Denver last winter. She turns 27 today, and she's one of my all-time favorite people to ever have been born. We're in Telluride for the weekend and she and I shared a bed last night. The following exchange happened this morning at 6:00 when we were both awake for some ungodly reason. Me: What do you want to do in your 28th year of life? Me: I know. You're 27, so you're starting your 28th year. Zero to one is one year. Kate: Yeah...twenty-five, twenty-six, TWENTY-SEVEN! I don't know. Ask me after 8 o'clock. Happy birthday, seester. Here's to the next twenty-seven years.